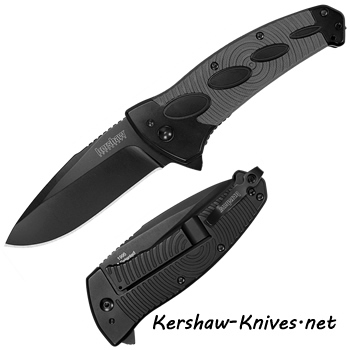 Kershaw Identity Knife 1995. 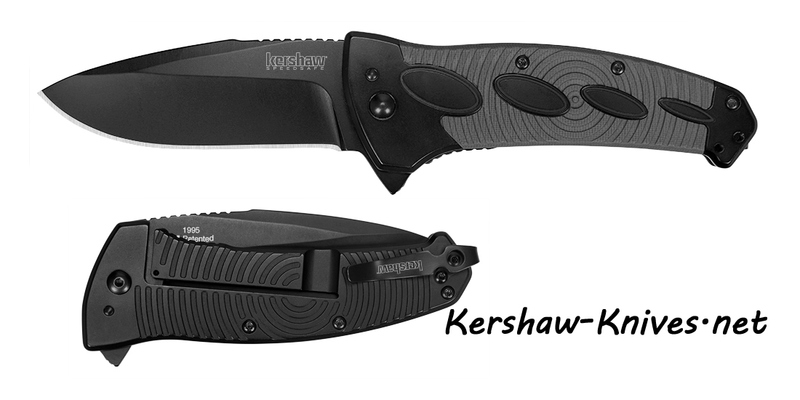 Kershaw has designed a knife that will help grip each individual finger to the knife. The Identity has four finger contoured holes throughout the handle masked into the gray scales. This unique look is what named it the Identity. The drop point blade tapers to a sharp tip, blade measures 3.25 inches. Handle is 4.5 inches long. 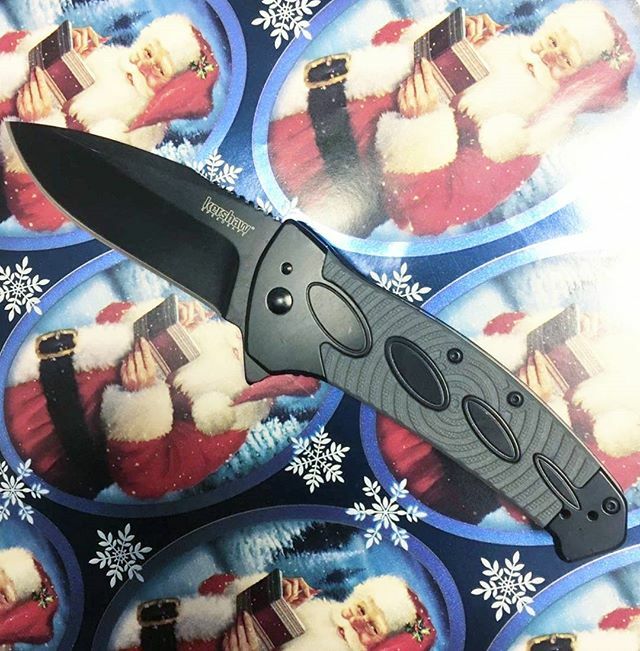 Pocket clip is black and short for a deep carry and can be reversed from a front to back carry. Frame lock.